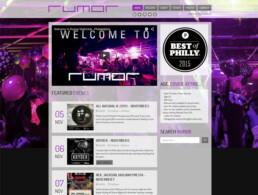 Rumor a unique Philadelphia nightlife experience. 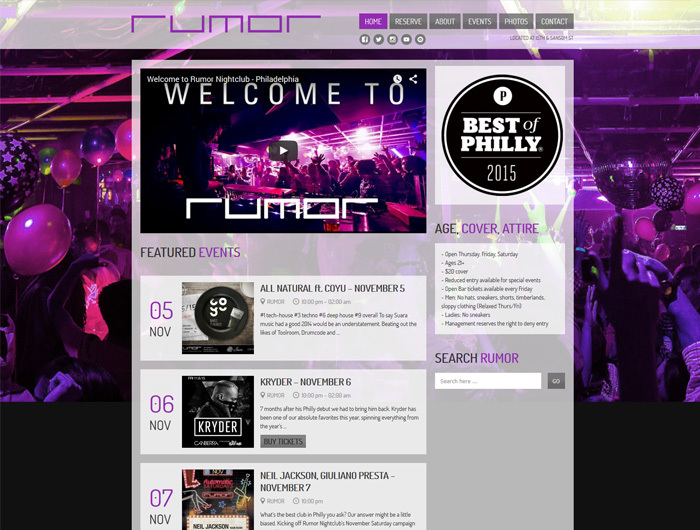 A destination for both nightlife & private affairs, Rumor features four district bar areas ft. up to three stand-alone sound systems, two dance floors, a private VIP vault and a cocktail lounge. Our space encompasses a level of unparalleled style & design amongst Philly lounges. ClientRumorServicesWeb Design, Web Development, Web & Infrastructure Hosting, Marketing Strategy, Branding, Search Engine Optimization, Social Media Marketing, and more.